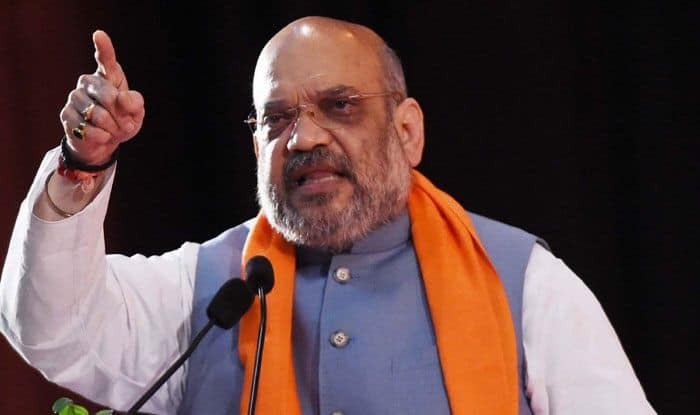 Shah was attacking the two parties as the AIUDF has decided to contest from only 3 of the 14 Lok Sabha seats this time. While it has not entered into an alliance with the Congress, this decision is likely to help the grand old party, say insiders. Shah was perhaps ridiculing how the AIUDF had decided to contest only three of the 14 Lok Sabha seats in the state as this could help the Congress. Assam goes to polls in three phases — April 11, 18 and 23. The AIUDF had earlier decided to contest seven seats but scaled it down to the three (Dhubri, Barpeta and Karimganj) it had won in 2014 when it had contested 10 seats. In 2014, the BJP won seven seats while the Congress, then the ruling party, was reduced to three seats (Kaliabor, Diphu and Silchar). Reports quote Congress insiders as saying that AIUDF was one of the reasons for party’s defeat. The AIUDF has claimed that its decision had nothing to do with the Congress. The two parties could not enter into an alliance either despite Ajmal’s open offer because a majority of PCC leaders were against the tie-up. The BJP chief has spent the day in Assam. Before arriving here, he was to address a public rally in Kaliabor. Shah is accompanied by Chief Minister Sarbananda Sonowal, NEDA convenor Himanta Biswa Sarma, state BJP president Ranjeet Kumar Dass and AGP president Atul Bora.